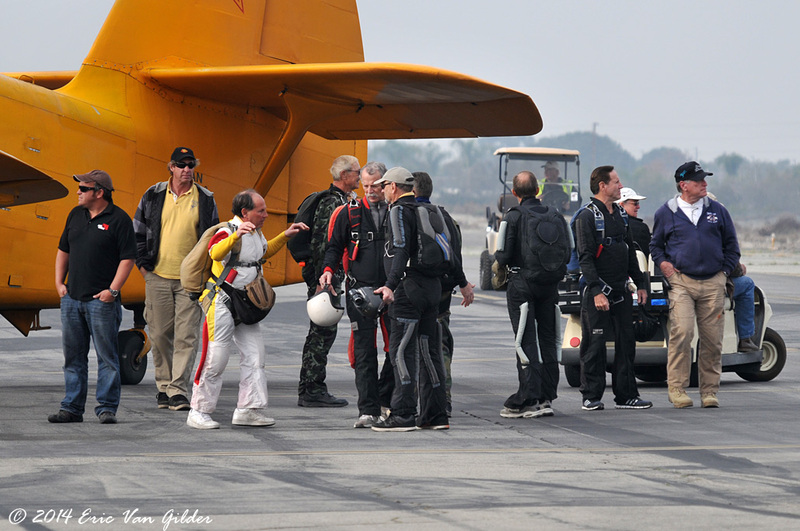 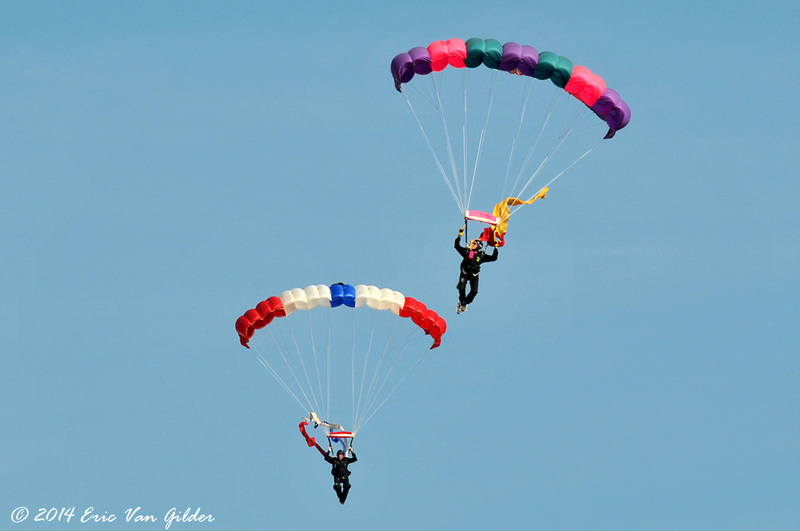 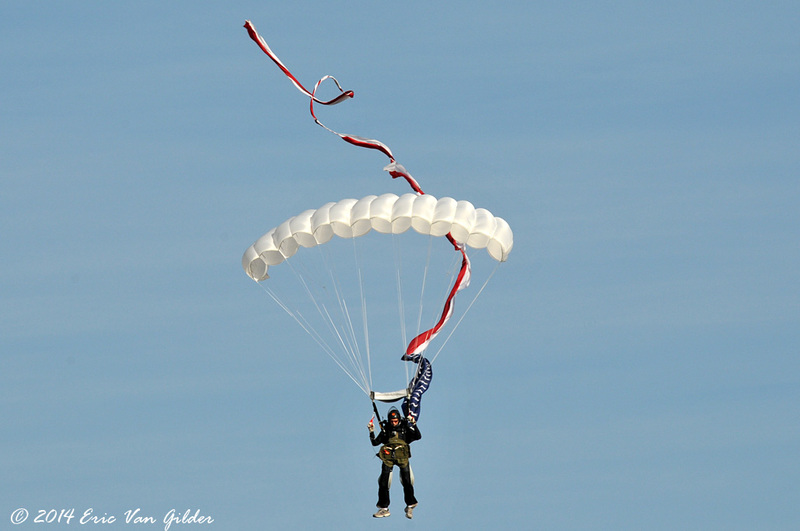 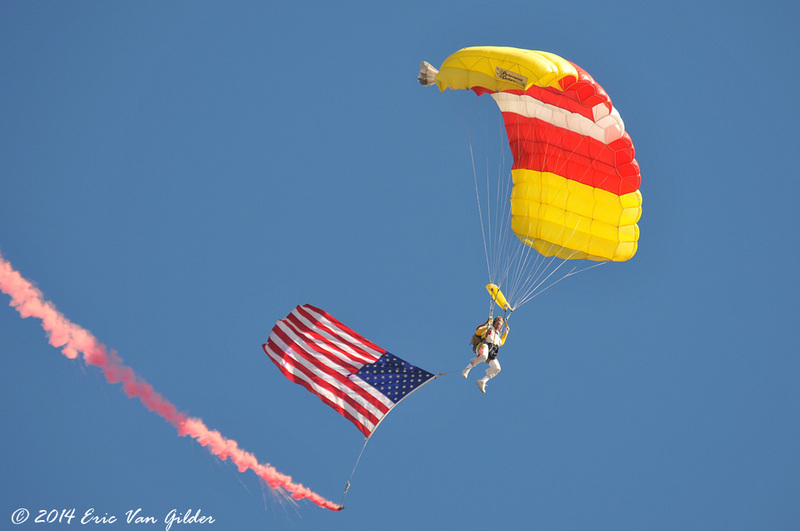 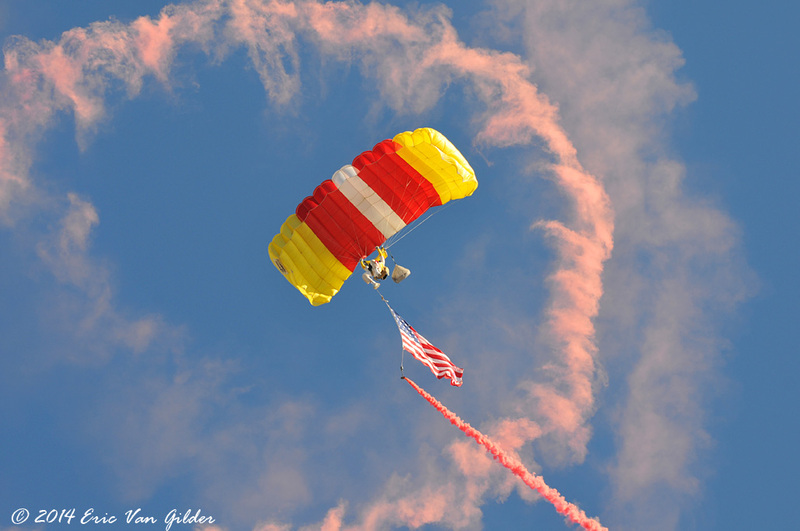 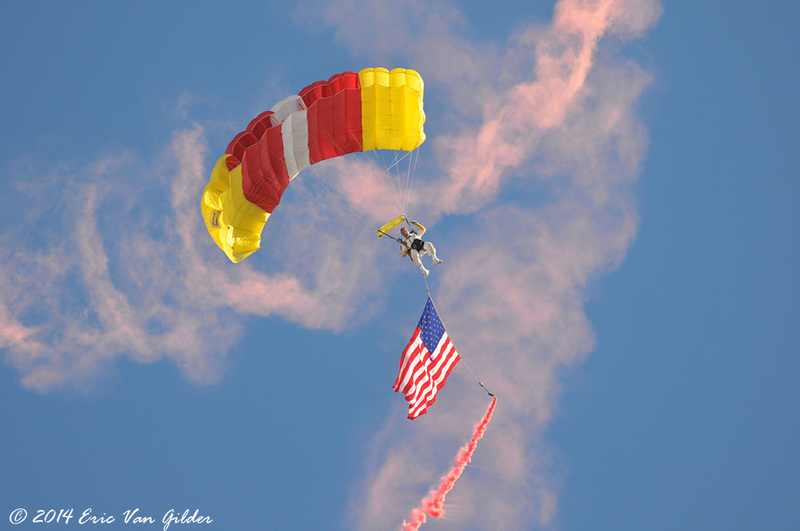 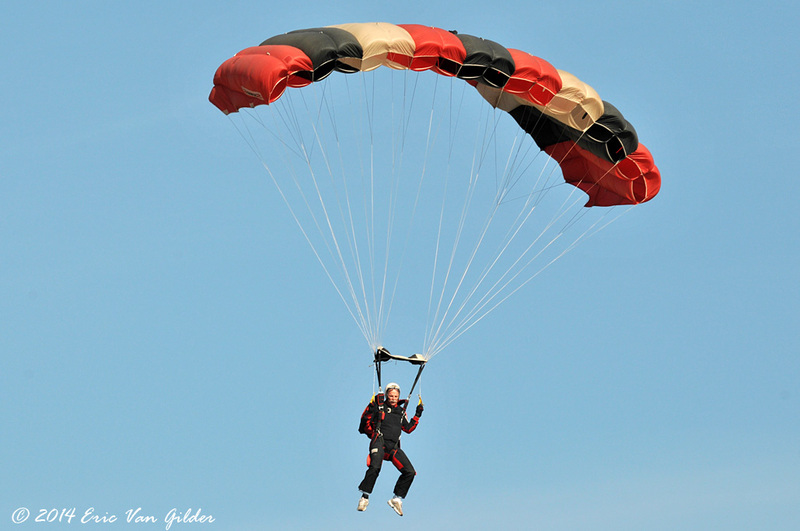 The Just in Time skydivers perform every year at the Cable airshow. 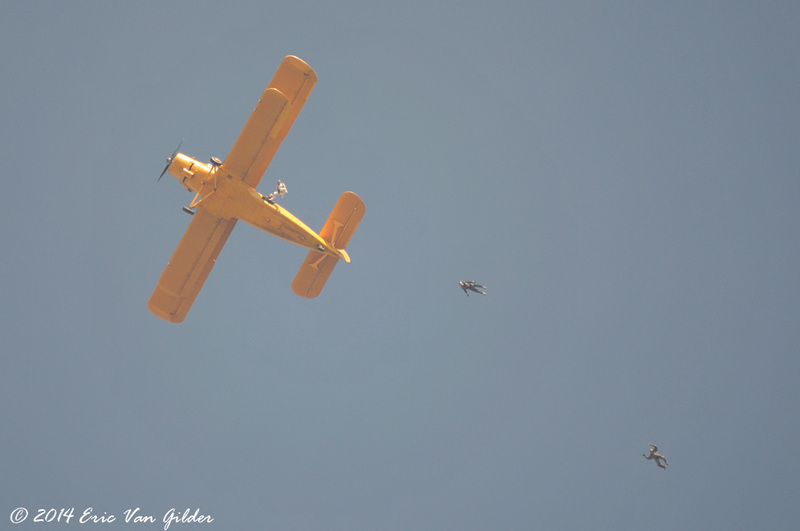 The jumped from the AN-2 Colt two times each day. 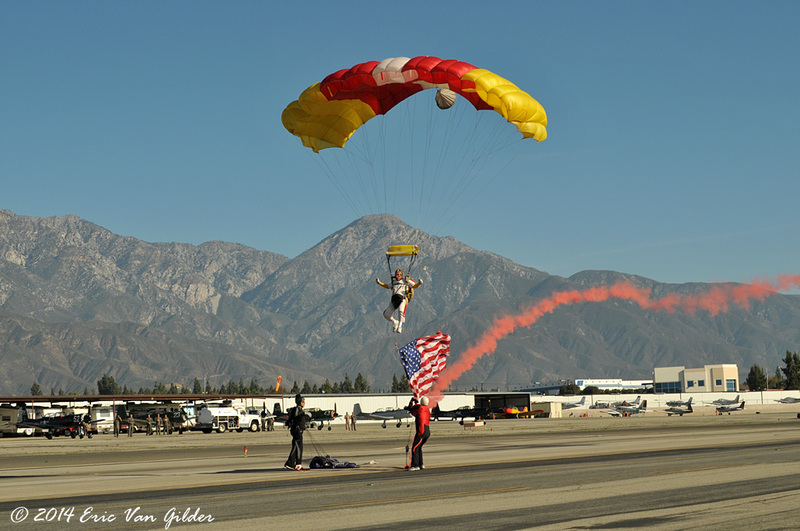 For the morning jumps, the American flag was carried for the national anthem. 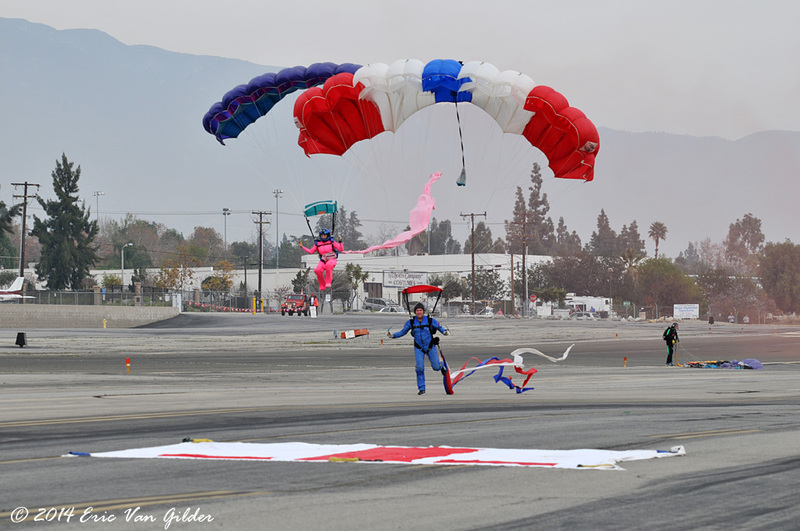 As usual, they performed a great set of jumps with colorful parachutes and banners.